Nannini's is a favorite stop for hungry school children, too, where small rolls flavored with rosemary and raisins or currants, are a popular merenda (snack) and seem to fly out of the shop! At one time women used to have these ready when children arrived home, but today they are rarely made at home. Dissolve the yeast in 1/2 cup of the water in a large bowl. Stir to mix well and allow the yeast to get chalky looking and bubbly, about 5 minutes. Stir in the remaining water and the olive oil. Begin adding the flour one cup at a time to the yeast mixture, working it in with your hands until you have a rough looking or shaggy mass of dough. Add the salt with the last addition of flour. Turn the dough out onto a lightly floured surface and knead it with your hands until a soft ball of dough comes together that is not sticking to your hands. If you need more flour, add it a little at a time, about 2 tablespoons, otherwise a tough dough will result. Lightly spray a large bowl with olive oil, add the dough, turning it in the bowl to coat it with the oil. Cover the bowl tightly with plastic wrap and allow it to double in size in a warm but not hot place. Meanwhile heat the olive oil in a small skillet over low heat. Stir in the rosemary needles and cook them for 2 minutes, pressing on them with the back of a wooden spoon to release their oil. Stir in the raisins or currants and cook 1 minute. Transfer the mixture to a bowl to cool. Lightly spray two baking sheets with olive oil and set aside. Punch down the dough and turn it out onto a lightly floured surface. Knead for 3 or 4 minutes until smooth and not sticky. Roll the dough into a 14-inch round and spread the rosemary mixture over it. Roll the dough up like a jelly roll, tucking in the ends as you go. Pinch the underside seam closed. Fold the dough in half and knead it into a ball to distribute the filling. The dough will feel wet and sticky at first but as you knead it, it will come together. Roll the dough out under the palm of your hands to form a long rope and cut it into 12 equal pieces. Roll each piece into a smooth round ball. Place the balls 1 inch apart on the baking sheets. Brush the tops with the beaten egg. Cover the balls with a clean towel and allow them to rise for 35 to 40 minutes or until they are puffy looking. Just before baking, make an in the top of each roll with a scissors. Bake for 20 to 25 minutes or until the rolls are nicely browned on top and bottom. Remove them to cooling racks and cool completely. Note: These freeze well if wrapped individually in aluminum foil and placed in zip lock bags. Allow the rolls to defrost, unwrapped, at room temperature. Reheat in a preheated 325 F oven for about 5 minutes. 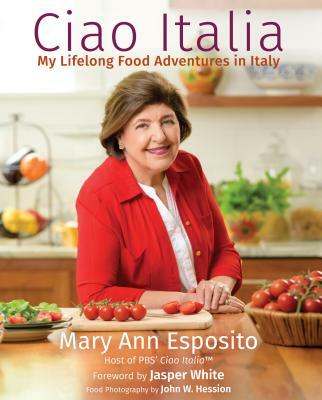 This recipe is from CIAO ITALIA IN TUSCANY by Mary Ann Esposito, published by St. Martin's Press in 2003.